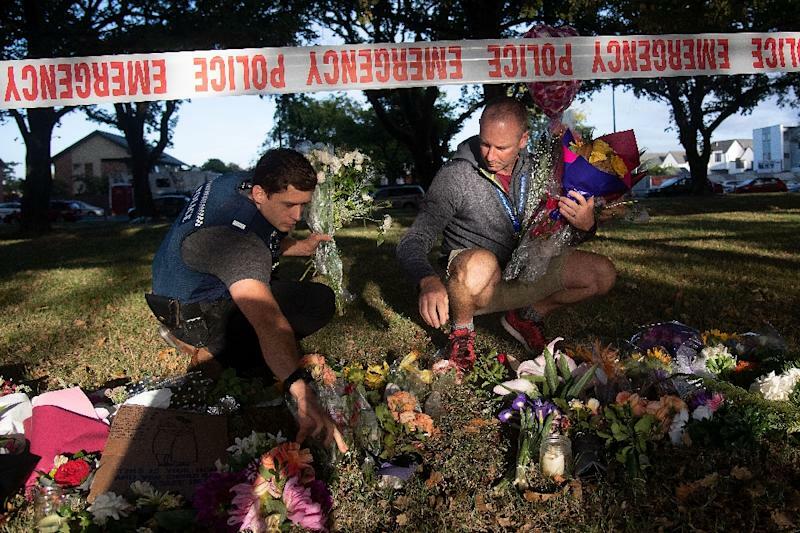 Australian counter-terrorism police searched two homes early Monday linked to the gunman accused of killing 50 people at two New Zealand mosques last week, police said. "The primary aim of the activity is to formally obtain material that may assist New Zealand police in their ongoing investigation," a police statement said. They said Tarrant's family "continues to assist police with their inquiries" but that there is no information to suggest "a current or impending threat" to the community. Tarrant, a self-avowed white supremacist, spent his youth in Grafton but has travelled abroad extensively over the past decade and had lived in recent years in Dunedin, New Zealand. He rejected as "disgraceful" criticism that Australia's counter-terror agencies had neglected the threat of right-wing extremists like Tarrant due to their focus on combatting Islamist radicals. He said the Australian Security Intelligence Organisation (ASIO), the country's main counter-terror agency, closely tracked the activities of far-right groups. "These extremist groups -- neo-nazis, or white supremacists, extreme right-wing groups -- whatever term you want to apply to them, they’ve been squarely on their radar," he said in a televised interview. "They are well and truly looking at this threat, they are dealing with the threat and to think that they've just discovered it or they are coming late to the party is complete rubbish," he said. ASIO officials were due to brief the cabinet of Prime Minister Scott Morrison on the New Zealand attacks and the threat of right-wing extremism in Australia later on Monday.